We spoke in our previous posting (Triumph And Tribulation - Read Here) of the thin line that determines our destinies, and the role fate plays in sending us down one road or another. A vulcanized rubber patch turned out the critical factor in Northern Dancer's case, saving the nuggety fellow from a career which might otherwise have been centered on a Canadian campaign as opposed to the American classics. With the "Baine Patch" applied to his quarter-cracked hind foot proving successful, and E.P. Taylor persuaded by Horatio Luro to keep the horse in the States, Northern Dancer's options of a tilt at the American classics were wide open. Luro was a master at setting a target and training a horse up to a race in the European fashion, rather than racing a horse to peak fitness. Nevertheless, this heavy-eating, dapper little chap looked in need of a "tightner" before the Flamingo that winter in Florida, so he was given a sprint up in preparation. Chieftain won, and Luro's instructions to his jockey to avoid the whip were forgotten. In the wake of it, Northern Dancer suddenly needed his own version of what his sire and dam had needed: so soured was he that he refused to go to the track, and Luro spent his mornings leading him back and forth in the palm-lined path to the Hialeah racecourse, along with a bit of tranquilizer. The name of his next engagement, the Flamingo, was prophetic as he simply sailed through it as well as the Florida Derby, with a sprint race in between. Hall Of Fame rider, Bill Shoemaker, was aboard in both those big races, but he was also the "regular" on the West Coast star, Hill Rise, most people's idea of the best three-year-old in the land. In Shoemaker's view, the short-legged, chunky Canadian couldn't strike him as a better Kentucky Derby mount than the tall athletic Hill Rise. One of the memories Joe Thomas, Taylor's right-hand man at his farm, Windfields, shared with me was a picture of Luro grazing Northern Dancer in the abundant grass patches among the barns at Keeneland, Kentucky, where he was stabled on his way to the Run for the Roses, as the Derby was dubbed. With Bill Hartack now in harness as the new pilot, the "Senor" was permanently delighted by the colt's blossoming spring progress, and the "big little horse", as the famous columnist, Joe Hirsch would recall him, finessed a handy victory in the last of the Derby preps, the Bluegrass Stakes. Come Derby day, Hill Rise was always favourite, but our man proved the more nimble, darting to the lead after a mile and turning back the big strides of the Californian to win by a neck. Canada had a Derby winner, and in record time at that. The even two minutes it took to fashion out his victory reduced the record set by Decidedly, whom Luro trained two years before for George Pope Jnr, owner of Hill Rise. Charles Taylor, whom I got to know in later life when he'd succeeded his father, was an international war correspondent, political journalist and author in Asia at the time of the 1964 Kentucky Derby. He was amused at the suspicion raised by a cable addressed to him about a "Northern Dancer winning the Derby in two minutes, the roses, etc" as some sort of nefarious code, which wasn't helped by the fact that a horse named "The Scoundrel" finished third! A fortnight later, Northern Dancer was to repeat the dose in the second leg of the Triple Crown, the Preakness, which he won by 2¼ lengths. Suddenly, Canada not only had a Derby winner, but a live candidate for the American Triple Crown. The Belmont was the remaining obstacle, remembering that not since Citation in 1948, had any of such greats as Native Dancer, Nashua, Needles, Tim Tam, Carryback or Chateaugay managed more than the first two thirds of the series in between. 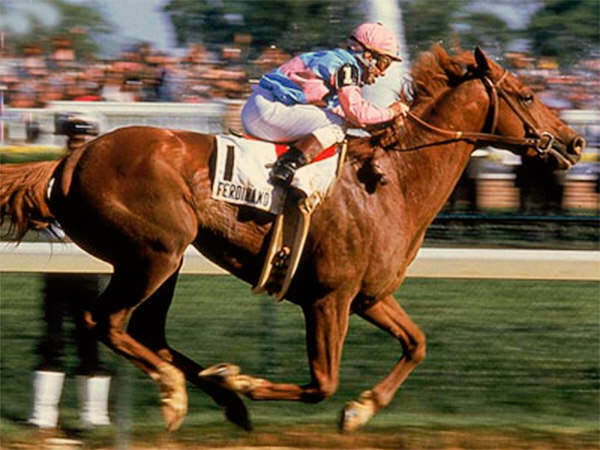 Luro would've preferred to concede: Northern Dancer was, after all, a short-striding "little un", and getting the one and a quarter miles of the Derby was more a case of his indomitable courage prevailing than his natural proclivity, and now the Belmont loomed at a mile and a half. E.P. Taylor however, was too much the sportsman to turn his back and deny racing the chance to see its new star tested in the most visible, traditional way. Luro was right. For what it's worth, Ed Bowen remembers heated and often losing debates with Canadians about their misgivings at Northern Dancer's failure to win the Belmont; which ignored the credit he is due for the guts and spirit he showed in winning the Derby, itself at a distance beyond his preference. In his final tilt at the races, he glided home by seven in the Queens Plate, providing his homeland with a glorious and dignified opportunity to embrace him. A strained tendon brought the curtain down on the racing career of one of Canada's most famous sons, and he was retired to Windfields with full honours as that country's Horse of the Year, coupled with his Three-Year-Old Championship of America. Today, a Canadian-bred so honoured would be a matter of pride without wonderment, but in Northern Dancer's day, there was no precedent for a horse bred in Canada being a champion in any division in America. A little horse, enduring greatness. Those who know the Summerhill stallion barn from Muhtafal's day, will know what I'm talking about. Some of the clay flooring in the Windfields breeding shed was rearranged to help Northern Dancer cover larger mares in the spring of 1965. He was sometimes described as a nuggety 15.1h (which is how the Windfields team measured him, though the mark of 15.2 was claimed for him in The Blood-Horse Stallion Register by the 1980s; bigger, it seems, has always been better! By the summer of 1968, the diminutive stallion was already the sire of his first star, Windfield's flashy chestnut Vice Regal, unbeaten at two and Canadian Horse of the Year. An injury the following April in America knocked him out of the Classic spring which would've seen him pitted against Majestic Prince and Arts And Letters. Joe Thomas told me that at one time, E.P. Taylor had regarded Vice Regal as the best horse he'd bred. Well, a case may be made that this marvellous colt might've been destined to be better than his father, yet even so, his tenure as Taylor's best would certainly have been short, for waiting in the wings was another Windfields-bred by Northern Dancer, a massive, leggy reality named Nijinsky II. Nijinsky was all of those things and more, for the first time I saw him at Claiborne Farm in his dotage years, he struck me not only as a horse of immense frame and power, but as a creature of commanding presence and character. Nijinsky II, the only English Triple Crown winner in more than 80 years, sire of three English Derby winners, a North American Horse of the Year in Ferdinand and a South African Champion Stallion, Dancing Champ. 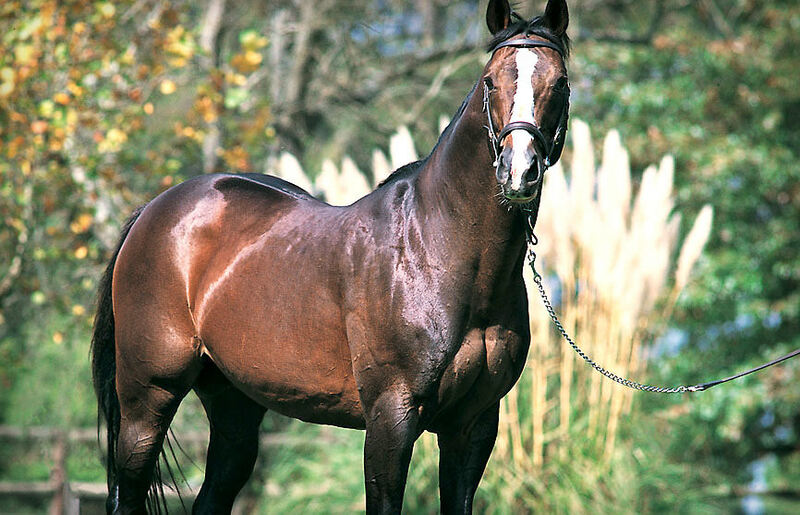 Danzig, three-time Champion Sire of America, whose symphony plays on through a legacy at least as big if not bigger than his own, according to the script of Danehill. While it's virtually inconceivable in their conception that two breed-shapers could emerge from one stallion in a single crop, nothing it seems was impossible with Northern Dancer. Thus up popped Nureyev in the same year as Danzig, with a contribution almost as deep in numbers of American Champions headed by Theatrical and Miesque, along with one of the "Arc's" most memorable heroes, Peintre Celebre. And then, in a replay of the family that gave Windfields Nijinsky and The Minstrel, from the dynasty that spawned Nureyev, came the inimitable Sadler's Wells, European champion a record 14 times, and progenitor of a trail of spectacular stallions in Montjeu, High Chaparral, El Prado and the "Prince Imperial" Galileo, who it seems is on his way to surpassing his own illustrious father as well his grandfather in the majesty of his legacy. And before we leave the topic, it fell to a grandson, Storm Cat, to pick up the cudgels of the Storm Bird strain, becoming only the second stallion to demand a stud fee of $500,000 before he departed this mortal world. That of course, is but a sampling, for Northern Dancer himself sired 146 Stakes winners in the days when a full book was 60 or fewer mares, a virtuoso 23% Stakes aces among his foals and 26 champions in the major racing countries. Bear in mind too, he stood initially in Canada, where the $10,000 stud fee strained prevailing industry economics for even the most admiring of his countrymen. In 1968, at the prompting, as we mentioned in our previous piece, of Allaire du Pont, Taylor established a second division of Windfields in the gentle, horse-conducive country of Maryland's Eastern Shores, whence both Northern Dancer and his dad, Nearctic, were moved. In the 1970s, he was syndicated at a valuation of $2.4million a share, and in time, his success was such that at age 20 (in human terms, 80) an offer of $40 million was declined. To understand the growing force of Northern Dancer, we find that in addition to Nijinsky his sons Lyphard and Danzig led the American list a total of four times, while his grandsons Palace Music, Deputy Minister and Storm Cat did so an additional four times, claiming a total of nine titles in the closing quarter of the 21st century. Since then the music has been more in the nature of a stuck record than an occasional solo, with the European, Australian, Japanese and South African sires's logs under dominant siege in the opening stanzas of the current century. In Europe, the charge has been led by the Sadler's Wells tribe, in Japan it was the great Northern Taste before his successor at Shadai, Sunday Silence capitalized on the presence of his daughters to make the title his own. In Australia, it came courtesy of Danehill and his sons, principally via the influence of Redoute's Choice, Flying Spur, Snitzel and Not A Single Doubt; and on the domestic scene, the brigade was headed initially by Northern Guest, Northfields, Rambo Dancer, and Rakeen, Fort Wood and Jet Master, and now by Dynasty. Truth be told, through the ravenous feeding of the big money on the other side of the Atlantic, in some ways Northern Dancer was less prominent on his own continent than he was elsewhere, though it would be seriously remiss of me not to recount that both a son of Sadler's Wells and a grandson, El Prado and Kitten's Joy, have both distinguished themselves at the top of the American sires' log. George Blackwell, the bloodstock agent who'd purchased his grandmother, observed with inescapable pride over the years that the presence of Northern Dancer seeped ever deeper into the make-up of the Turf and the image of a racehorse: "He changed what good horses could look like. You could look at a horse and know he had Northern Dancer in him". The auctioneer Terence Collier, who was on the stand with John Finney when he sold Nijinsky, once remarked "Initially it was easy to think that the small size was the legacy of Northern Dancer, but that wasn't correct; from the start, they came in all shapes and sizes, and what horsemen had to forgive was the hind leg. That seemed to breed through, regardless of size." There is no question that a knowledgeable European buyer and a knowledgeable American buyer would want a different hind leg. The Americans are more afraid of what they call a "sickle leg", while the Europeans would be more forgiving. Europeans didn't seem to mind the hocks being a little "behind", as this characteristic might have had something to do with the local slant toward the great success of the line. It was, presumably, a case of image following function. These guys were more tolerant, and that might've reflected on grass racing and the undulating surfaces that characterized their courses. Joss Collins, whom Summerhill employed extensively at the British Bloodstock Agency in our early days, always thought that the flat feet of the tribe might have contributed to their success in Europe. Also, he thought Vincent O'Brien found they were "horses you could train for a target, that they were not horses you could get fit and run every few weeks". He should've known: he tutored Nijinsky, The Minstrel, Be My Guest, El Gran Senor, Try My Best and Sadler's Wells. A view the unmatchable Alec Head once expressed to me as well, was that while he agreed with Collins' view that you sometimes had to be careful with their "wind", he explained that the angle at which the head and the neck joined sometimes had the potential to restrict air flow. Though it has to be said, as one of the team that bought Nureyev and knew Northern Dancer, Collins was certainly careful not to overstate his observations! Head also agreed that the good ones came in many forms, but that the precedent set by Lyphard and Nureyev undoubtedly lent encouragement to breeders and buyers when they did encounter off-the-wall "ponified" ones. When Cheryl and I were his guests at his grand farm "Quesnay," the conversation inevitably turned to the matter of the tribe which had given him his magnum opus, Treve, heroine of the previous two "Arcs," and daughter of the English Derby winner, Authorized (a grandson of Sadler's Wells). Alec, who purchased and trained Lyphard, recalled his early impression of Northern Dancer. "He was a small horse, but he was all there – everywhere. It is interesting how inbreeding to him is now working (Galileo and Danehill, the arch example). Marcel Boussac tried that with his Tourbillon blood, but those were fine horses, and they got finer and finer and weaker and weaker". Clearly no such regression has impeded the progress of the Northern Dancers. My conversations with Alec revealed just how remarkable the contrast had been between Nijinsky, large and impressive with great scope, and Lyphard, who took the diminutive stature of the sire almost to heart. A stylish, white-faced little Hackney of a colt, he was purchased by the sagest of the world’s horsemen, who harvested the dinky fellow as a yearling for £15,000 ($37,800) at Newmarket, after he had been purchased as a foal in the United States for $35,000 by Captain Tim Rogers. Named with a play on that of Serge Lifar (like Nijinsky and Nureyev, a ballet dancer), he was a multiple Group winner up to a mile, but had embarrassment as well as size to overcome in earning the respect of European breeders. He went to Epsom for the Derby under the hand of a man who'd previously won the race in the 1950s. And as one of the top three choices on the betting boards as they rounded Tatenham Corner, the horse, "Lyphard", took a wild swing to the outside rail, losing what was estimated at a dozen lengths by the press, but may have even been more. Lyphard was a ridgeling, and the undescended testicle caused pain when he was required to turn to the left at speed. As the English have so often been heard to say, he made a real "balls up" of it, and was lucky to escape the knife as Alec always believed the testicle would eventually descend when he got to stud, which it did. Part of the package when the South African coal magnate, Graham Beck, acquired Gainesway Farm in the late 80s, Lyphard straddled both sides of the "ditch"with sires titles in France as well as the United States, and twice leading the French broodmare sires. In his illustrious wake, came the world champion Dancing Brave, the American Turf Horse of the Year Manila, and the Head family's Arc victress, Three Troikas, who carried the colours of Alec's wife Ghislaine, was trained by their daughter Criquette and ridden by their son Freddy. And so the saga found more breath. While you don't have to sell the notion that he was capable of producing great sire sons from even his lesser performed "get", given the championships of our own Northern Guest and his world record 11 broodmare sires titles, it's as well to remember that in Night Shift and Fairy King similar stories had played themselves out. The pattern which produced the two-time leading American stallion, Deputy Minister, a grandson, was a sort of reprise of Windfields Farm history. As we've said before, Taylor had laid a foundation by melding secondary racing sons of top European bloodlines with hardy, home-bred mares. This pattern was mirrored in the pedigree of Deputy Minister, who was inbred to a local Toronto celebrity of the 1930s/40s, Bunty Lawless. The latter's son, Windfields, was born of the unraced mare Victoriana, who in turn produced the breakthrough international racehorse, Victoria Park, Queen's Plate victor and placed in both the Kentucky Derby and the Preakness, and in turn broodmare sire of Deputy Minister. Inbreeding to the best individuals is fairly common in the modern context, but you wouldn't exactly anticipate today that a leading sire would be inbred to a horse called "Bunty Lawless". It's long been an adage here at Summerhill that you never know where the next "big one" is going to come from, and that's why we sometimes persevere with families that appear to have gone dormant, only to spring forth with another champion, as was the case with Rabada (Brave Tin Soldier). The "accidental deputy" was Vice Regent, a son who, like Night Shift and Fairy King was one of the lesser Northern Dancers, yet he went on to produce 103 Stakes winners including Eclipse Champion, Deputy Minister, from a mare who was no more than "claiming" class. Carrying two strains of Bunty Lawless, to boot! At the time Vice Regent went to stud, his sire had moved from Canada and Nijinsky was clearly headed for Kentucky. Standing him at Windfields could be read as a move on behalf of Canadian breeders who had no access to the top levels. Obviously, addressing the subject of Northern Dancer, by its very nature, has to be an exercise in cruel pruning. In a world without comparison in the extent of a stallion's influence, there are any number of sons who are ill-used by being ignored or merely enumerated. We can only wince apologetically at the thought of our omission of so many grand individuals, yet if all we’ve achieved in this series is to illustrate the good fortune of a world that has known the passage of at least one Great Master, we'll have done his memory a little justice. The Dancer may have gone, but the Dance goes on.